TUMWATER – Shelly MacKinder credits her former Stafford Creek Corrections Center (SCCC) supervisor, Norm Goodenough, for helping her advance her career in state service. His encouragement helped give MacKinder, who was then a secretary supervisor at SCCC, the courage to apply for a higher position as a human resources consultant assistant. Since then MacKinder promoted three more times. She now works as a human resources consultant for the Office of the Insurance Commissioner and represents her agency on the Interagency Committee of State Employed Women (ICSEW). Fostering growth and empowerment among state workers are some of the ICSEW’s core values. The committee is governor-appointed and comprised of employees from various state agencies and higher education institutions. Its primary function is to advise the governor on issues and policies that affect state-employed women. ICSEW also holds regular meetings and events that offer opportunities to all state employees to gain skills related to its core values. Additional values include leadership, integrity, well-being, and advocacy. Currently, the ICSEW has 33 representative members and 20 alternates, employed across 33 state agencies. ICSEW began as an advisory committee in 1963 when former Gov. 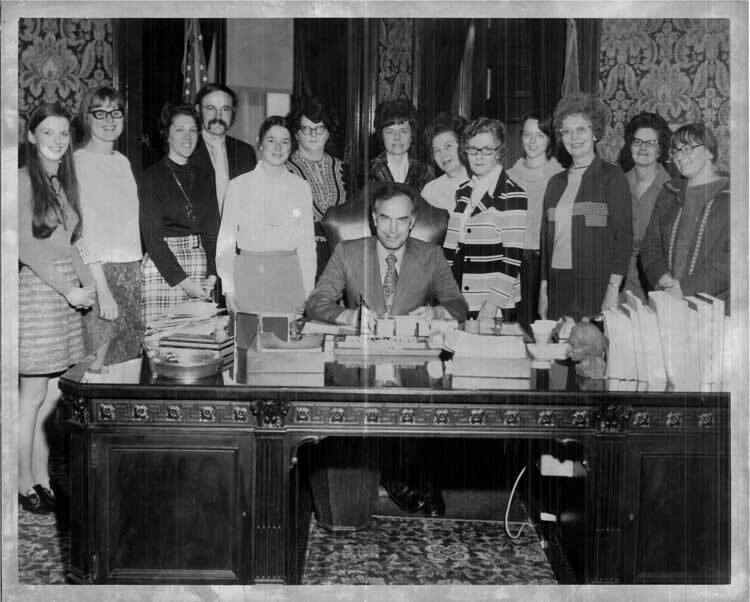 Albert Rosellini established the Washington State Commission on the Status of Women, modeled after President Kennedy’s creation of the National Commission on the Status of Women. 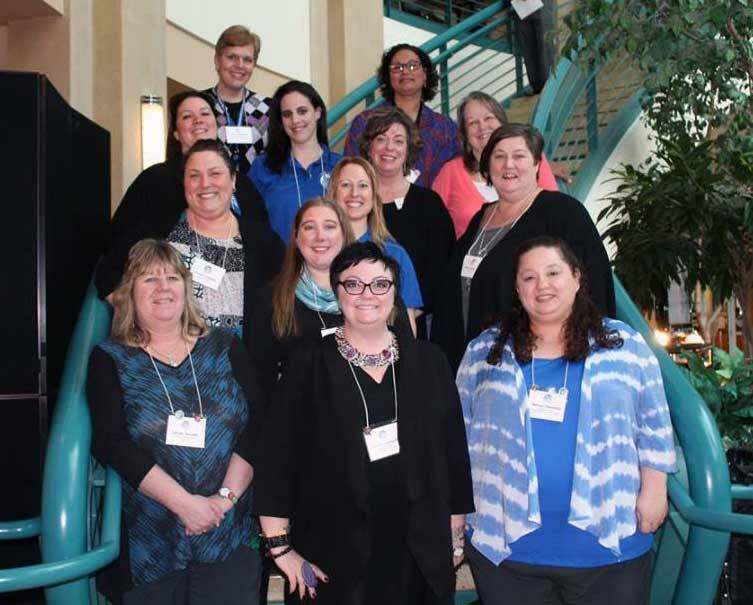 It focused on creating strategies to end gender discrimination in government and private employment and advocate for women’s basic rights and opportunities. In 1970, the state commission evolved into the ICSEW. Its task was to evaluate the state’s response to the national committee’s recommendations and offer guidance on additional changes. By 1989, ICSEW expanded to include members from higher education institutions and the judicial system. ICSEW has continued working with the governor’s office to shape issues impacting state-employed women and their families over the years. Recent work includes a 2014 expansion of telework and flexible work hours programs (pdf) for all employees to help reduce traffic congestion and improve quality of life. ICSEW representatives helped conduct research for the recently-passed Paid Family Leave law. The committee is now working on shaping and launching a statewide mentorship program to promote growth and celebrate public service careers. In addition to serving as an advisory body to the governor’s office, ICSEW representatives conduct other work as well. 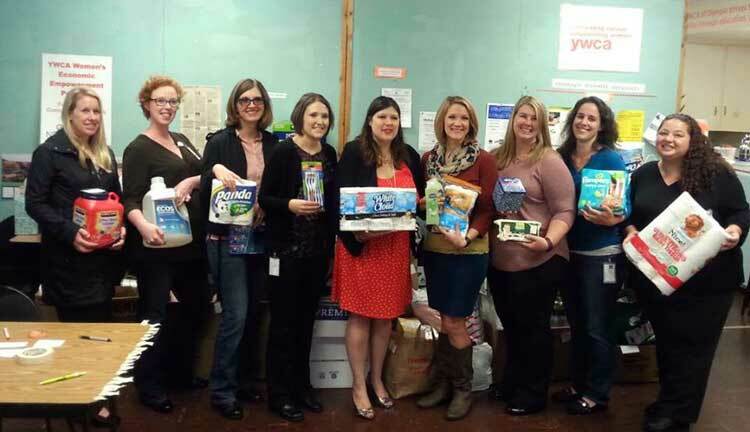 Its public outreach subcommittee coordinates events throughout local communities, including the committee’s annual toiletries drive for the YWCA of Olympia. Various state agencies collect hygiene products for the YWCA’s Other Bank. The Other Bank distributes these products to thousands of families living in poverty in Thurston and surrounding counties. 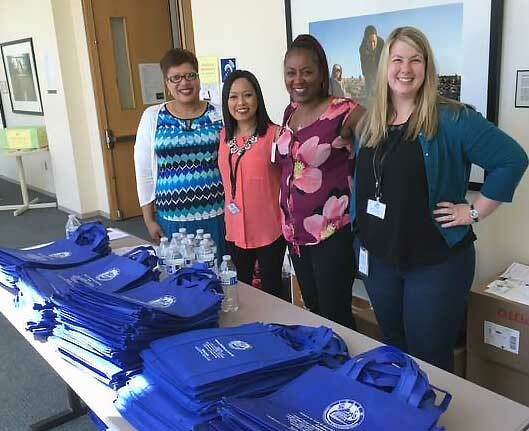 ICSEW also holds a wellness fair at the Department of Labor and Industries in Tumwater to coincide with National Women’s Health Week. Hundreds of state employees attend the fair each year to learn about local health resources. 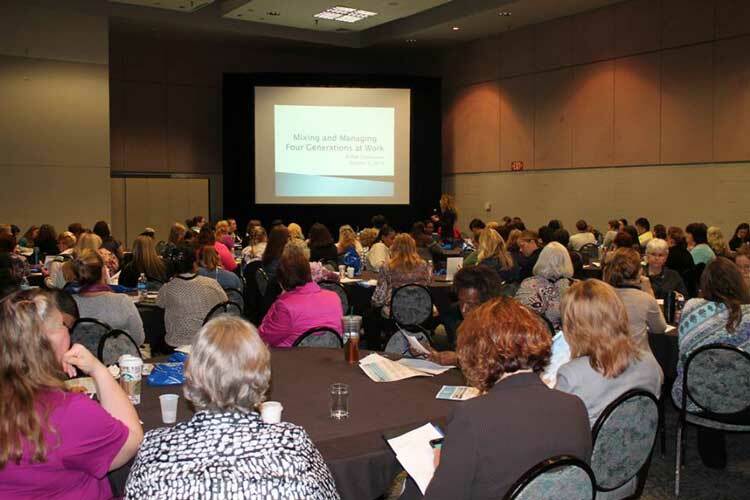 The largest event the ICSEW holds is its annual professional development conference. Dozens of career experts present at the conference on topics such as goal-setting, team communication, and conflict resolution. The 2018 conference is scheduled for Septemper 12 at the Greater Tacoma Convention Center where more than 700 people are expected to attend. Rachel Friederich, communications consultant for the Department of Corrections, is the agency’s representative for the ICSEW and professional development chair. She helps the committee screen and select presenters for the conference and regular meetings. For more information about the Interagency Committee of State Employed Women, visit ICSEW. Per the Governor’s Executive Order on Creation of ICSEW, for every 2,000 employees, state agencies may appoint one representative for a two-year term. For information on becoming a representative, visit the ICSEW Get Connected page. Regular meetings are held on the third Tuesday of each odd-numbered month. They are free and open to state employees and the general public. Upcoming meeting agendas and meeting registration can be found on the ICSEW upcoming meetings page.